HOUSTON (KTRK) -- UPDATE: This Sliver Alert has been discontinued. The Jersey Village PD has issued a Silver Alert for a missing senior. Harold John Turner has been diagnosed with a Cognitive Impairment and last seen at 11am on Monday in Jersey Village, TX. He was wearing a lime green polo shirt, light colored pants and brown loafers. 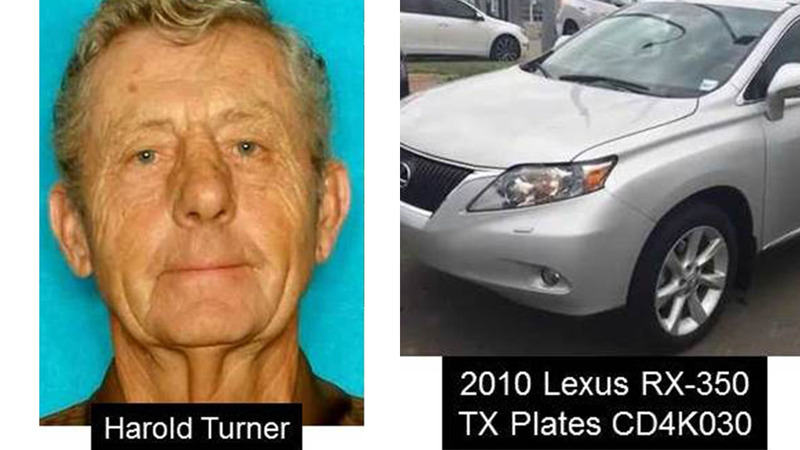 Authorities say he was driving a silver, 2010 Lexus RX-350 with Texas license plate CD4K030. The 77-year-old stands at 6'2", weighs 210 lbs and has gray hair and blue eyes. If you have any information regarding this missing senior citizen, contact the Jersey Village PD at 713-466-5824.